For the ones who seriously consider happiness is correlated with coffee, they have coffee blends from different parts of the world for their caffeine fix. The breakfast menu at Smoke House Deli has a huge variety of cereals and pancakes; breakfast bakes and bagels; eggs in over 20 ways; and breakfast sides. And the best part? It is served all day! If you are looking for a light and healthy start, you have a choice of freshly cut seasonal fruits, cereals, butter milk pancakes, and granola chunks with honey and curd. For a more bagel-tastic start bite into the breakfast bagels in options of cream cheese and herbs; chicken shmear; and smoke salmon and wasabi. 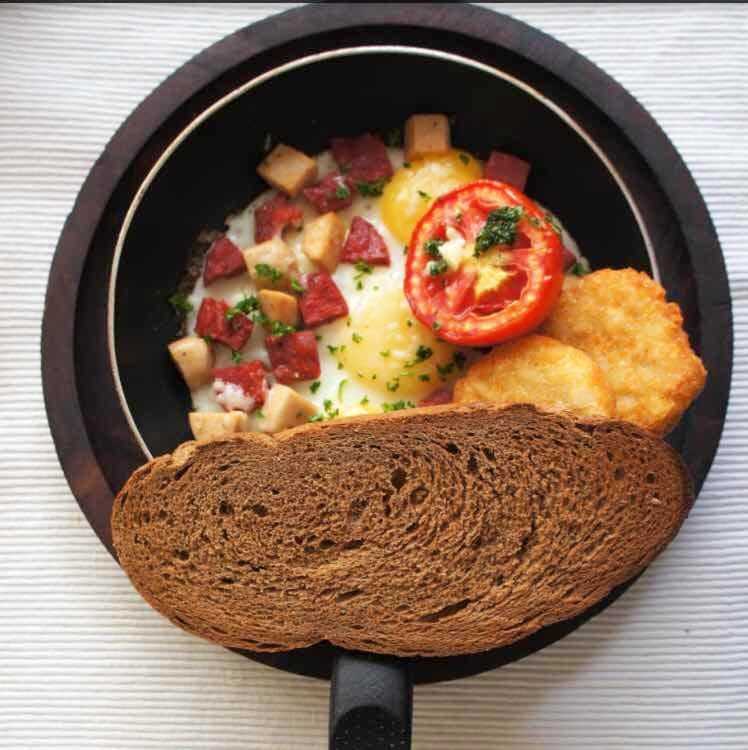 The highlight of the menu is definitely eggs served across all imaginable combinations with multi-grain toast, hash browns and a grilled tomato. Start with the skillet-fried favourites with fillings like bacon, Parmesan and asparagus; and chorizo and house sausage. If it is the fluffiest, airiest omelettes you are looking for, look no further. And then finally you can dig into some terracotta scrambled eggs served with sausage and bacon; and truffle and capers. And of course, no egg section would be complete without the good old eggs Benedict and other poached favourites including eggs Florentine, and the French fries, roast peppers and cheddar bake. A hearty meal for two will set you back by INR 1,200. Smokin’ Hot Chocolate With Baileys In It? Yes, Please! One For The Kids & Their Parents: The Children’s Day Menu At Smoke House Deli Is Yum!